You can tell its a great read when the book is tabbed. Professor Geraldine Hunt is a trailblazing veterinary surgeon who developed, among other things, novel surgical approaches to portosystemic shunts. In the course of her work, she’s also made errors. Every surgeon does, but Professor Hunt has shared hers in the edited textbook Pitfalls in Veterinary Surgery, in an attempt to foster a culture of learning and improving patient outcomes. As a former student of Professor Hunt, I sought out a copy and found this a compelling read. She discusses errors, mistakes, near-misses, but – importantly – reflects on these and considers how they can be avoided, and how outcomes can be improved, in the future. It was fascinating to read that someone so unflappable, courageous and clever was kept awake at nights by concerns that many veterinarians can relate to. Professor Hunt took some time out to answer our questions about the book. I retired from full-time veterinary surgery in June 2015. 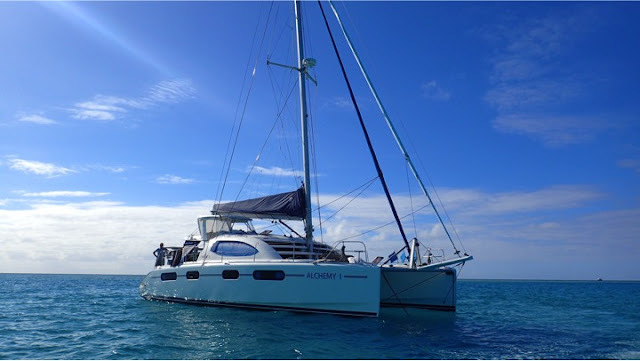 My husband and I bought our 46-foot Leopard catamaran (Alchemy 1) and since then we have focussed on outfitting it for off-shore cruising. We have lots of family and friends visiting for up to 3 weeks at a time, and spend most of our time away from port so I take care of logistical things like menu planning, provisioning and making sure we we know where all our supplies are stored. I learned a lot about project management in my University positions and those skills have come in very handy. During my first year of retirement, I also spent a lot of time writing and editing the book. I also help my sister from time to time in her small animal practice. When did you realise you would specialise in surgery? I originally wanted to pursue small animal medicine or cardiology (once I gave up ideas of becoming an equine vet), but my partner at the time also wanted to specialise in small animal medicine, so we felt we would be more employable as a couple of we were not both in the same discipline. During my PhD, I realised I liked the challenge and reward of surgery, so that's how things went from there. Why did you decide to write a book about pitfalls and errors? I was approached about writing a conventional surgical textbook, but I felt there were a number of other texts out there that were very good, and even if they had slightly different approaches or ideas to mine, I did not feel strongly that I needed to "reinvent the wheel" so to speak. However, I had identified some other things that just did not come across in regular textbooks. I felt that a personal narrative could be useful, where the reader could get into the life and mind of a surgeon on a day-to-day basis, and hopefully gain a sense of what went on behind the scenes and the process by which I made decisions, whether they ended up being right or wrong. You have documented cases in great detail. Were you collecting this data as you went along, ie in the hope you might write a book like this one day? The thought of writing this particular book did not occur to me until about two years before I retired. Fortunately, the publisher was happy to take a risk with an unconventional style of book, and to wait until I had time to write it after I stopped working. I have always used case examples in my teaching, and have taken a lot of photographs through the years, so most of the chapters were based on a topic I had presented repeatedly in rounds or in lectures. Do you think some degree of surgical prowess is innate, or can it be completely learned? Surgical prowess comes from a combination of knowledge, technical skill and temperament. You can learn the first two; the third will either help, or it will be something you need to overcome. A really good surgeon has a balance between being decisive and not too timid, and being considered and thoughtful. A good surgeon can act quickly when required, but take their time under other circumstances. This might require you to push forward when you are nervous, or hold back when you are feeling confident, and takes some people well out of their comfort zone. What do you see as some of the common errors in veterinary surgery or practice? I think most errors stem from being in a rush, being tired, not having good back-up and not being able to see what you are doing. Some of the errors discussed in the book occurred in the process of learning. How can these be reduced? Checklists are a proven way of reducing errors. If you have to learn something without supervision, the checklist might be as simple as, "have I read the surgical text? ", "have I discussed complications with the client? ", "am I familiar with the anatomy of this area", "have I discussed this with my colleagues?". In short, have you done your due diligence in preparing yourself, the client and the patient before you start. How can vets in general practice improve their surgery while minimising risks to patients? Be self-reflective and honest about their skills, have regular surgical rounds with colleagues or vets in other practices, debrief on mistakes they might have made, find ways to gain practical skills, like attending wet labs or doing cadaver dissections, and invest in the correct instrumentation (including lighting, suction and magnification) depending on how intricate the procedures are. What is the difference between an error and a mistake? I suspect everyone would have a slightly different view of this, but in my vocabulary I think an error relates to judgement, and a mistake relates to technical performance. Both result in an adverse outcome that could have been avoided. Surgical sequelae are different; these may occur whether an error or mistake was made or not. You discussed the impact of errors on patients and clients, but also on the veterinary team. How do errors impact the vet team? This is complex. Students and techs can feel just as guilty as vets and they may feel more helpless, because they do not have primary responsibility for the case. Different members of the team might have different ethical positions, and in the case of students, they may be trying to work out what their ethical position should be. Students, techs and reception staff may have a closer bond with clients (or even the pet) than the veterinarian, as they have been involved in nursing and communications. Some of the cases involve errors or misunderstandings in communication with clients or referring vets. How can errors of communication lead to bad outcomes? Errors in communication with clients will result in misalignment of expectations (costs, prognosis, time in hospital). Errors in communication with other members of the treatment team might result in incorrect dosing, delays in treatment, or even the wrong treatment. Communication is not just "telling", or "listening". ; it can be difficult, and every vet should develop a technique to help them ensure that important concepts are not only communicated, but understood by the person with whom they are communicating. Likewise, we should reflect whether we are correctly interpreting things communicated by the people with whom we are working. Do you have any advice for future vets or veterinarians? You have great passion, talent and dedication. But you will face challenges and you will make mistakes. None of us are perfect. Develop your own safety net as you progress through your career. The whole group of people and patients to whom you are responsible, and with whom you work, will make a great support team if you allow them to. Thank you Professor Hunt for your time. 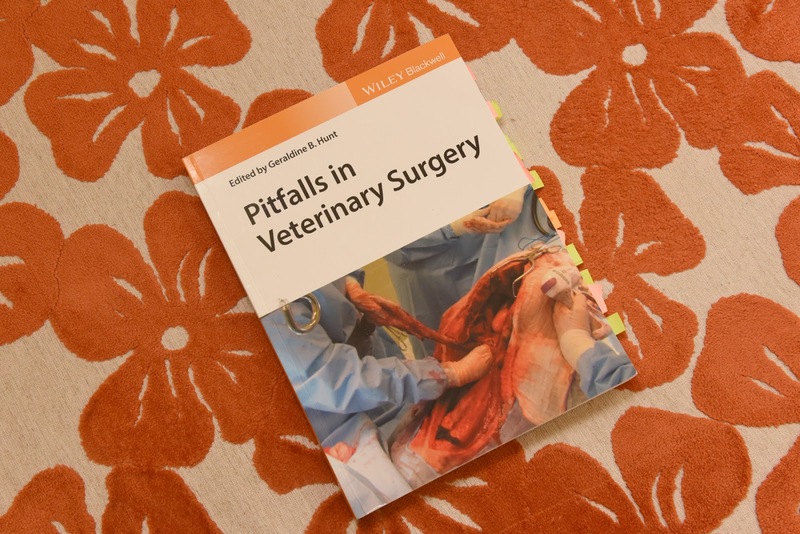 You can purchase Pitfalls in Veterinary Surgery through Wiley.